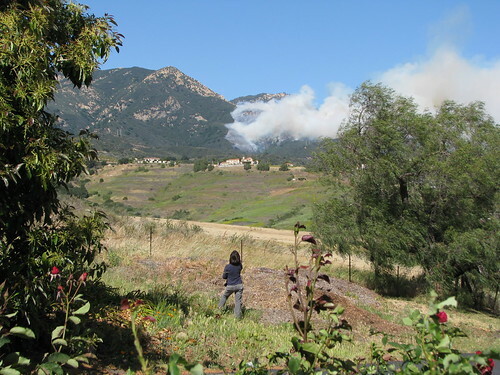 Lest we forget, on May 5th in 2009 the Jesusita Fire started (photo above). I took in a few evacuees initially, but after a few days we all had to flee. I pulled out of my driveway as the firetrucks rolled in to make a stand. 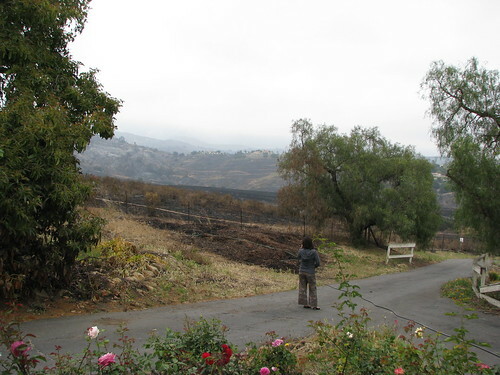 Five days after the fire started I could return home to survey the damage (photo below). Much to everyone's surprise and happiness, the friendly jay who'd eat out of my hand survived, and the firefighters I worked with over the following days were thrilled to feed him. Three years later it's hard to tell that much of the area burned, aside from a few stubborn charred stumps. It's a testament to our native plants' adaptation to fire, many were resprouting in the following rainy season. The fauna that appeared shortly after was also a clear consequence of the Jesusita Fire. 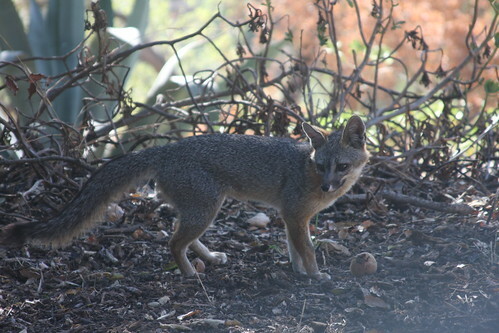 Foxes that would normally never venture this close to my door, in daylight, were now lingering in my blackened backyard, gnawing at hard unripe avocados. The post-fire pioneers, the rodents that lacked predators higher up the food chain, multiplied and descended on our shelter and water with a vengance, causing several thousand dollars worth of damage to my car. Santa Barbara took such a beating that fire season, with both the Tea Fire and Jesusita, there didn't seem much left to burn after them. This is the price we occasionally pay to live in paradise. Mobile Post: Artist Panel @ Michael Kate Interiors.